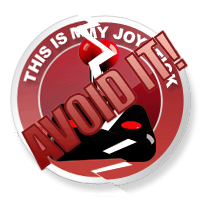 LA Cops Review - This Is My Joystick! When I think of isometric shooters, my mind is cast all the way back to my childhood and a game called Syndicate by the since-defunct Bullfrog Productions. 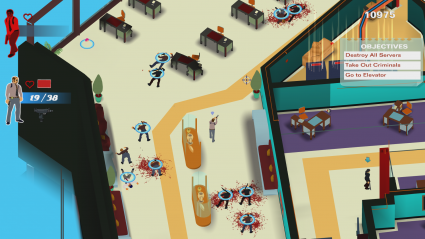 The developers of the newly released LA Cops actually cite Syndicate as one of their inspirations, and it’s no surprise; Syndicate was a wonderful game for its time. What LA Cops is not, however, is a wonderful game. Its frustrating lack of cohesive gameplay, along with its poorly written and performed narrative, casts a shadow over anything it does right. That, unfortunately, is very little. This single-player only game falls back on the 70′s cop archetype, with afros and bad attitudes galore, bright and colourful visuals, and a suitably cheesy rock soundtrack – which is arguably the best thing about it. Operating as a twin-stick shooter, the aforementioned isometric viewpoint is fully rotatable around the 3D space, so you can see around any corners or behind walls that may be hiding pesky baddies (of which there are plenty), or a donut to help refill your cop’s health (of which you will lose plenty). Even on the normal difficulty setting, however, LA Cops is excruciatingly difficult, to the point of internal combustion. Enemy A.I. is super quick on the draw in a fire-fight, yet your A.I. partner, whom you rely on heavily for cover when moving through an area, takes a good second or two to open fire, even on enemies that you might get the drop on. It makes every encounter a real hit and miss affair, giving a lasting impression that luck – more so than any kind of skill – is what gets you through to the next mission area. The controls feel fairly cumbersome on the Xbox One game pad, which could be a product of being a PC port, although having not played this on a PC I can’t tell for certain if this would handle better with a keyboard and mouse setup. This is the only twin stick shooter I’ve played where I feel like the aiming stick is totally pointless. It’s much faster to tap ‘X’ to lock on to an enemy, then quickly pull the trigger to get the shot off instead of manually aiming with the right stick and flailing bullets all over the place – the latter tactic normally ends with two dead cops and a loading screen. In old-school fashion, you receive a grading at the end of each mission along with a breakdown of your points – all of which are saved across the in-game leaderboards – and some XP to spend on upgrading each of your characters’ four stats. XP is given out frugally (2XP was my regular payout), although it doesn’t seem to matter. The upgradeable stats don’t seem to make any real discernible difference to the play-style, so which characters you choose to play as will more likely come down to preference over individual abilities. All the standard weapons you’d expect to see make appearances; the pistol is the starter, with the game moving you up through the ranks of shotgun, Uzi, assault rifle and lastly the grenade launcher. Your ammo is quite limited, so making sure to stock up on dropped rounds between skirmishes is a must. Your starting weapon can be upgraded, but you’re just as likely to come across these weapons through the course of normal gameplay, so spending XP on unlocking them feels like a waste. Each mission initiated by a cut-scene that serves to deliver some semblance of background for what’s happening, however it’s mostly forgettable with the dialogue audio being particularly poor, sounding like it was recorded in bathroom filled with plastic pipes. Thankfully these scenes can be skipped and are largely unimportant as the missions generally involve nothing more than killing gun bros and occasionally wrecking a bit of scenery. Hardly worthy of context, but it’s a sticking point when the cut-scenes themselves only serve as an opportunity to show off the interesting visual aesthetic. LA Cops has very little going for it. I’ve said it time and again: a difficult game must be compelling enough for you to want to return and complete the challenge. This just isn’t. 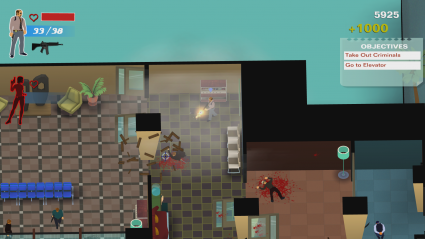 You can try moving through each mission slowly, inching forward and making sure your cops cover each other at every turn, or you can charge through, busting into each room with reckless abandon. It ultimately doesn’t seem to make a difference, with blind luck playing more part in your progress than any measure of tactical foresight or skill. It’s this lack of cohesion, along with some questionable design decisions, that makes LA Cops not only a super tough nut to crack, but also super tough to recommend.